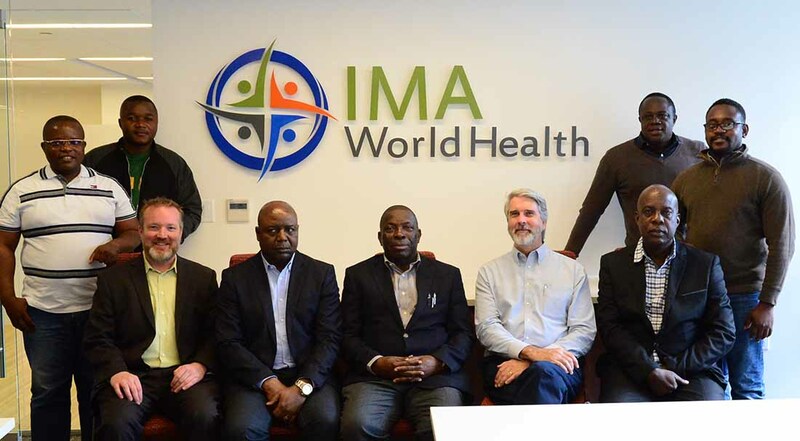 IMA World Health has been working with the Ministry of Health in the Democratic Republic of Congo, or DRC, for more than 10 years to support the development of an effective and efficient National Health Information System in the country. This central reporting system collects health statistics for the entire country. Given the recent significant strides made in improving this system, the ultimate aim now is to have all stakeholders shift to using the national system, reducing the parallel reporting systems that do not bolster the local government initiative. In the past, DRC’s national health information system struggled to provide useful data that could be used to improve health decision-making and guide resource allocation. This was largely due to health facilities and their workers lacking the equipment, training and time to effectively collect, input and analyze data. Now through a collaboration with many partners, including the Ministry of Health and IMA World Health implementing the Access to Primary Health Care Project, or ASSP, the team has rolled out a web-based management information system known as DHIS 2 across health zones in DRC with help from principal technical partner, BAO Systems. The effort has resulted in more than 89 percent of the country using the new platform. As part of this integration, the country’s 516 health zones moved from paper-based reporting at all levels to electronic reporting at the health zone level with health workers inputting the paper-based reports from health centers into the system on a monthly basis. To help ensure success, VSAT satellites and solar panels were installed in health zones that did not have electricity or internet access to ensure this monthly reporting into the system. As a result of rapid and effective transition, in October 2016 IMA hosted senior officials from DRC in Washington, D.C., including the Secretary General of the Ministry of Health and the head of the National Health Information System Division to discuss possible next steps to improve the system. Also in attendance were all major supporting staff from the ministry, BAO and IMA. “The goal of the meetings in D.C. was to meet with our principal technical partner, BAO, and discuss the technical options that are available to the country for it to configure its health information system in away that it becomes more accurate and more accessible to everyone,” Sthreshley said. For the DRC officials, the week of meetings was also a chance for them to meet with experts, ask questions and discuss the roll out for the next version of DHIS 2 in 2017. In fact, according to Kupa, he believes that the country’s health system and the people of DRC will benefit from the system as it expands and improves. Dr. Salomon Salumu, the head of the National Health Information System Division, echoed the sentiments of the Secretary General. According to Sthreshley, IMA now conducts almost all of its reporting through the DHIS 2. The roll out of the second version began in March 2017. The long-term goal is to have all stakeholders in DRC working through DHIS 2 with access managed by the national government. Members of the IMA staff and DRC government are attending the “DHIS 2 Symposium 2017” this week hosted by the University of Oslo and BAO Systems taking place on March 23 – 24 in Washington, D.C.